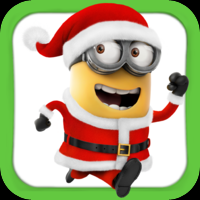 Despicable Me Minion Rush This game is only available on the mobile platforms above. Grus loyal yellow gibberish-speaking Minions are ready for their toughest challenge in Despicable Me Minion Rush. Play as a Minion and compete with others in hilarious fast-paced challenges in order to impress your boss. All games and trademarks are copyright their respective owners. Contact Us if you feel Despicable Me Minion Rush has been used without proper permission.